Highly recommend the Exotic Safari Zoo in Johnson City, TX. 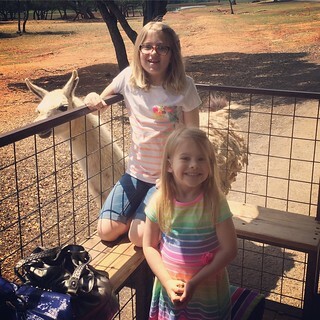 We got to feed and pet llamas, zebras, camels, deer, elk, buffalo and a dozen other animals. SO COOL.